Poem titled “Butterfly” extracted from the play “The Butterfly´s Evil Spell” written by Federico García Lorca in 1920. 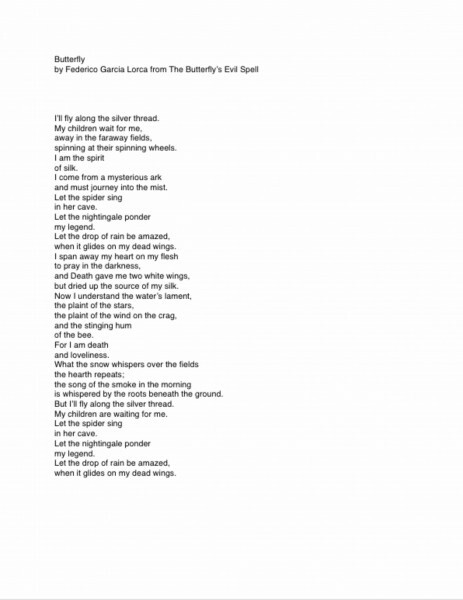 This poem was used as experimentation material during the workshop in May, 2003. Material chosen by Kate Hennig.